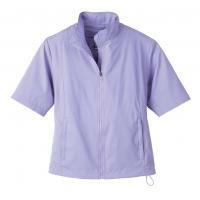 Description: Dobby outer shell with full lining. Concealed zippered pockets. Shock cord drawstring at hem. Hemmed sleeves.100% polyester mini dobby with water resistant finish. The putty color (which is a beige) comes only in size XXL. For XXL, add $2.00; for 3X, add $3.00.